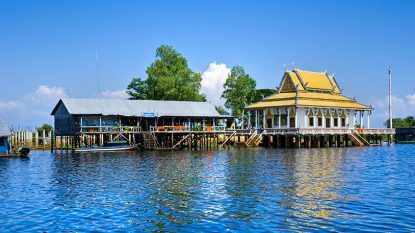 Whether you're destination is Phnom Penh, Siem Reap and the temples of Angkor, Kampot, Battambang or anywhere else in Cambodia, Hanuman Travel has the most up to date, inside scoop on the area. Operating for over 25 years we are Cambodia's premier destinations expert and happily pass that knowledge on to our customers creating the perfect itinerary. Phnom Penh is a graceful capital that was once known as the ‘Pearl of Asia’. It is a timeless throwback to an older Asia, a world away from the developing metropolises of nearby neighbours. Situated at the confluence of the Mekong, Bassac and Tonle Sap Rivers, the city retains much traditional and colonial charm. The riverfront area remains one of the most attractive in the region and is perfect for a late afternoon stroll. 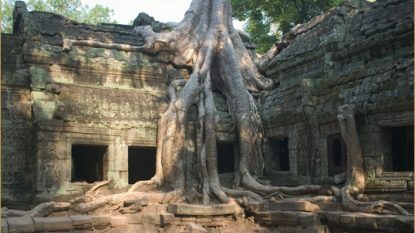 A visit to the temples of Angkor is a profound experience, as few sights on earth can match the majesty of Angkor Wat, nature run amok at Ta Prohm or the mysterious faces of the Bayon.